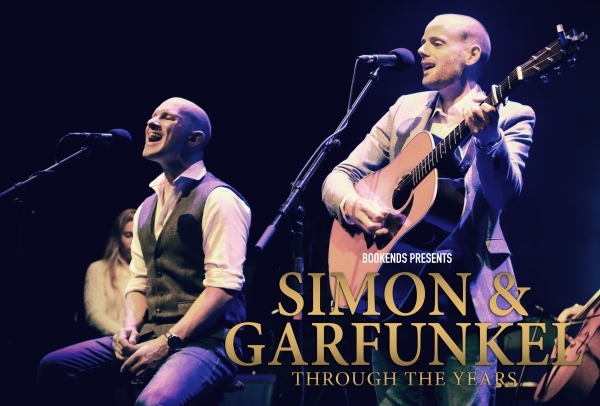 Bookends perform the most authentic sounding tribute to the unforgettable music of?Simon & Garfunkel. Made up of Dan Haynes & Pete Richards, Bookends have toured?extensively with their concerts being described as ?simply breathtaking?. venues in the UK and America. Here many of the hits such as ?The Sound of Silence?, ?Mrs Robinson? and ?The Boxer? ?and Bookends? own beautiful rendition of the unforgettable ?Bridge Over Troubled?Water? With early folk gems such as the haunting ?Sparrow? and wonderfully poetic? ?Bleecker Street?, alongside music of Simon & Garfunkel?s solo careers, the concert?is must see for any music lover.